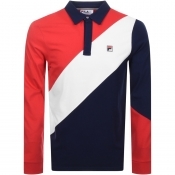 Fila Vintage t shirts are starting to come into their own this season, with many designs for the Fila polo t shirts taken from the best selling track tops. The matchpoint polo t shirt, the terrinda t shirt and the five stripe t shirt are all best selling track tops from the retro Fila range. These t shirts will be hot property this summer as the Fila Vintage clothing brand takes off during the warm summer weather. Keep an eye on the Fila Gold polo t shirts, these have a little more detail to them, but offer a fantastic smart casual polo t shirt for this year.